The good Samaritan, the prodigal son, the lost sheep--more than one third of all that Jesus taught is found in the form of parables. 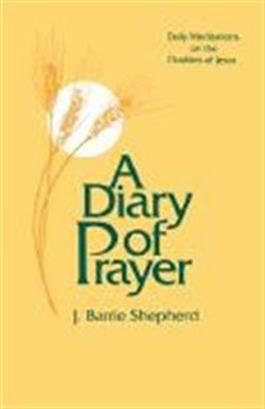 Now from J. Barrie Shepherd comes a fresh, positive approach to the best known and loved of Jesus' teachings. This unique collection of meditations offers morning and evening reflections for thirty-one days--each centered on one of the parables of Jesus. Every prayer is an insightful and inspirational response that applies the truth of the parable to daily life. An excellent idea for personal reading, this diary includes a full page of space opposite each prayer that can be used for writing notes, feelings, thoughts, and reactions. Ideal as devotional aids, these perceptive meditations are also a perfect resource for groups studying the parables.